It is not possible to write about the current rowing activities in Brittany without mentioning the historical practices that form the foundations of rowing in Brittany. They are: sea fishing in dory boats and skiffs, as well as sea rescue and its mystical stories, and the sailing and rowing boats used by port pilots which have stood out in the history of rowing in this region for centuries. 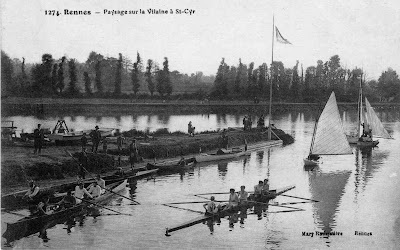 The first rowing club in the region was the Société des Régates Rennaises which was founded in 1867 at the confluence of the river Vilaine and Ille and Rance Canal, at the Saint-Cyr dock. This club was also the first sports club in Rennes. As to the second oldest rowing club, Cercle Nautique de Dinan, it dates back to 1912. 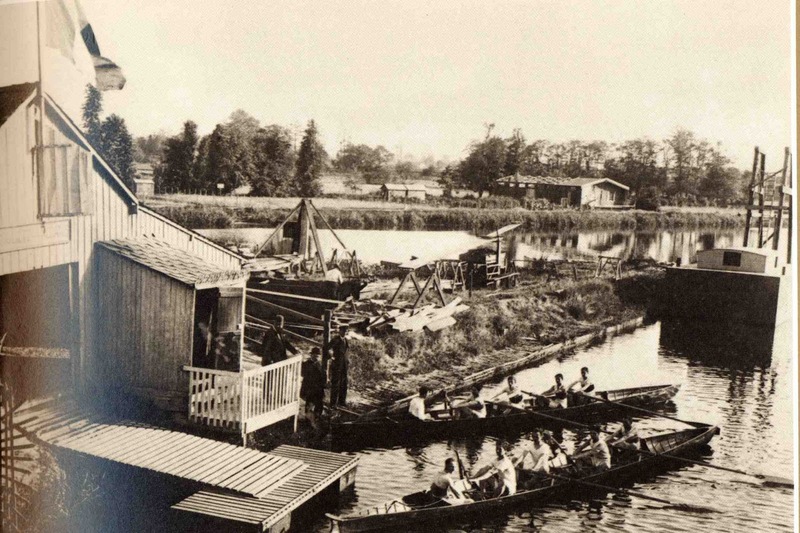 Between 1867 and 1979 there were only these two clubs which offered the practice of rowing in Brittany. The development of the activities was expected by the appointment of a regional technical advisor in 1974. 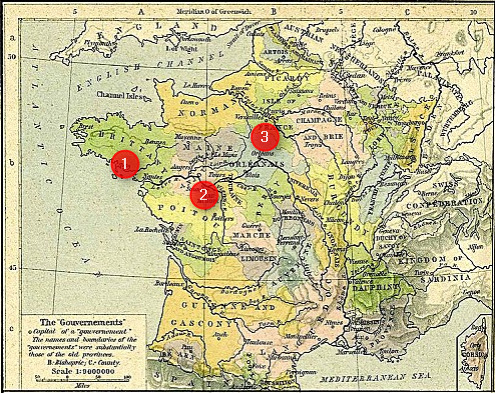 Five years later, in 1979, two new clubs – Redon and Quimper – joined the BAO league (Bretagne - Anjou - Orléanais, numbered on the old English map below). In 1988, Brittany decided to stand on its own feet and got separated from the BAO league. 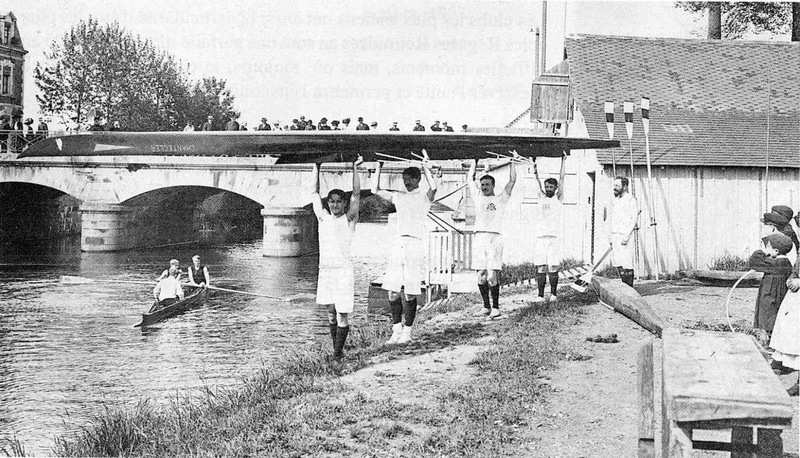 Thus, the Ligue de Bretagne des sociétés d'aviron was born. From that moment on, it involved a development process, probably quite unique in France. Departmental* committees gave an impetus at a local level, in terms of sporting activities and training of sports administrators. The implementation of a Pôle Espoirs – offering facilities to enable youngsters from 13-14-year-olds to 17-18-year-olds to combine their school curriculum with high-level sport training in the best conditions – training centers given a seal of approval, a national center for sea rowing, and all the organizations, have contributed to the emergence of Breton rowing. The beginning of the 1980s was a turning point. Thanks to the unprecedented media coverage of the North Atlantic crossing by French rower Gérard d'Aboville (a 72-day crossing from Cape Cod to Ouessant, near Brest, 3,320 miles in an 18-foot boat), in 1981, led to a craze for sea rowing. After a boost given to sea rowing in traditional boats, a few enthusiasts got involved in the building of contemporary boats. North Finistère has been the birthplace of this sport. This is where boat builders and the first sea rowing clubs settled. 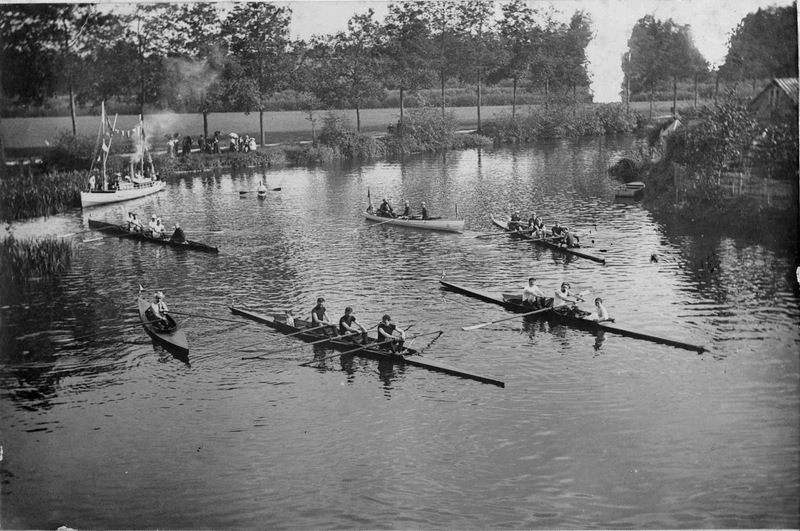 At the beginning, there was a limited number of rowers, but soon the organization of specific competitive events led to a chain reaction, with the acknowledgement of the practice by the Breton rowing league and the French rowing federation Fedération française des sociétés d'aviron which has regarded it as a fully-fledged sport. For the sea rowing events, a triangular course has been unanimously chosen in order to row on different tacks. In Brittany, clubs have acted boldly in organizing original regattas: cross-business challenges, a regional championship, open regattas, cross-university challenges, etc. Normandy, the Mediterranean, Atlantic and North coasts then joined in. The first French sea rowing championship was held in the Aber Wrac'h, North Finistère, in 1997, whereas the first world championship was held near Cannes, in the south of France, in 2007. Today, the four departmental committees comprise about 40 clubs and 2,300 members – among them are France and World champions. Brittany stands in the top 10 leagues of France (in third position considering the number of clubs). People of all ages can practice rowing in the region. The offer spans from Olympic rowing to sea or river rowing (leisure or competitive) with school or university events, adaptive rowing and indoor rowing. The Breton league aims at developing youth practice, reinforcing its organization and communication, improving the sporting level and the quality of the rowing events. 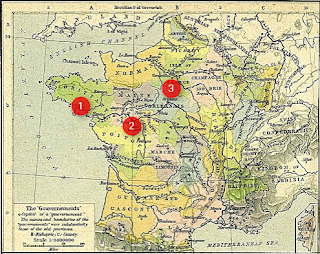 *Since 1790, France has been divided into 95 metropolitan “départements” and four overseas ones. Each is run by its own local council. This text has been adapted from an article written by Ivi Ceillier, regional technical advisor at the Direction Régionale de la Jeunesse, des Sports, et de la Cohésion Sociale de Bretagne (Directorate of Youth, Sports and Social Cohesion in Brittany). Jean-François Botrel, president of the Société de régates rennaises, kindly agreed to share the photos with HTBS. The four included old photographs above feature the Société des Régates Rennaises from 1900 to 1920. The rowing club, which opened in 1882 in the west part of the city (Saint Cyr), moved to the east part of Rennes (Plaine de Baud) in 1977. Jean-François Botrel has written a text about the history of the SRR (in French) which will be found here.